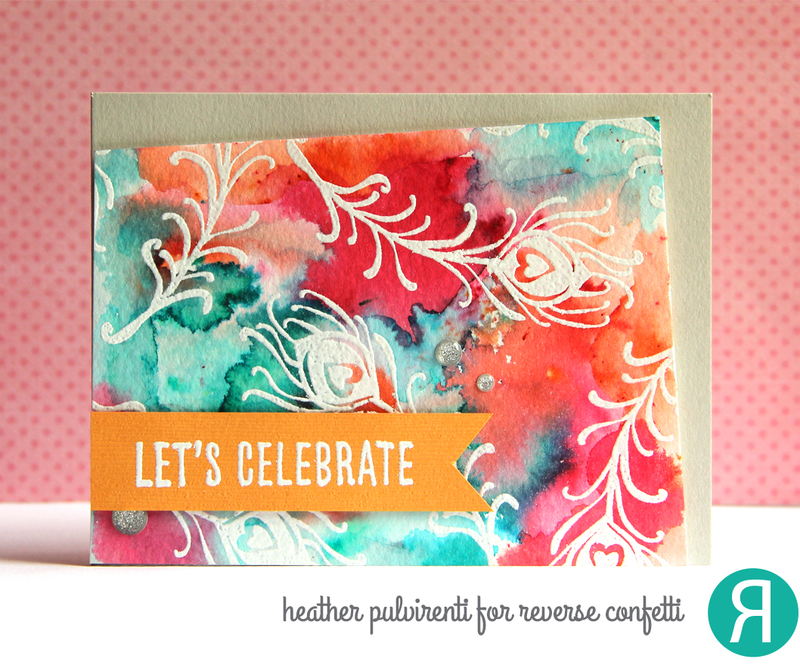 Witty Title Here: CardMaker Magazine Blog Hop - Let's Celebrate! 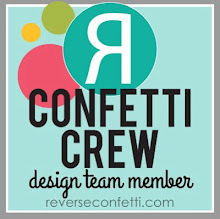 CardMaker Magazine Blog Hop - Let's Celebrate! To create my card, I first started with a piece of 4.25 x 5.5 watercolor paper, and covered it with a light coating of water. I then sprinkled the layer with Turquoise, Orange and Fuchsia Color Burst watercolor powders. I tried to leave them alone to do their thing, but I'm a hoverer, so I dabbed the watercolor paper here and there with a wet brush to help speed things along, and used a paper towel to soak up the excess water/color in any areas that were getting muddled. Since I'm not the most patient person when it comes to watercolor, I grabbed my heat tool to help speed up the drying process. Once the panel was dry, I stamped the feather image from Pretty Peacocks in Versamark ink, then heat set them with white embossing powder. I then trimmed the layer on an angle, and adhered it to a light gray card base with foam tape. 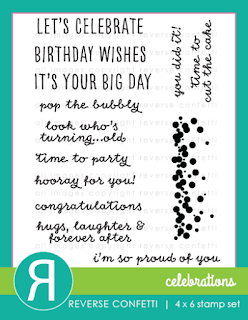 The sentiment from Celebrations was stamped in Versamark ink onto orange textured CS, then heat embossed with white powder. 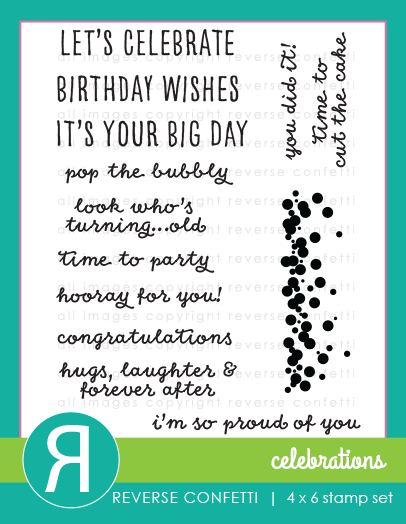 To finish up, I adhered the sentiment to the card front with foam tape, then embellished with silver enamel dots. Thanks for stopping by today, next stop on the hop is Kim Klinkovsky! Heather, I ADORE your gorgeous card! That watercolor background is stunning! Thanks for being a part of the hop! Oh my... gorgeous! I find it hard to let those powders do their thing as well... just beautiful! Love love love this card. So pretty and I want to try this! 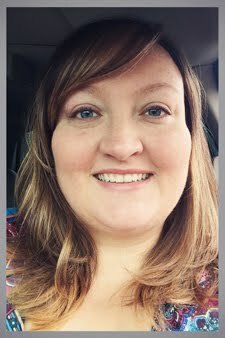 I am in LOVE with the bold beautiful watercolor background you created! 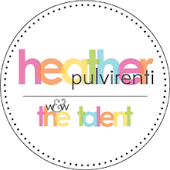 What a mesmerizing card, Heather, wow!!! Beautiful card. Love the colors and the stamp set. So pretty. Gorgeous colors on this pretty card! Love the feathers embossed in white! Beautiful! Love the mix of colors! WOW! Oh geez! What a spectacular color combination! That background is stunning! Love everything about your card. The feathers, the angled layer, your beautiful, bright, bold colors. Superbalicious!! I really like the look of your card Heather! Thanks for sharing your technique--you've inspired me to try it! I really like the look of your card Heather! Thanks for sharing your process--you've inspired me! These embossed peacock feathers are gorgeous! I like this technique and will have to give it a try! Wild and crazy but I love it. gives a lot of movement to the card. Beautiful work! I am loving the Celebrations set, but, you got me thinking with the Peacock Feathers.... Anne S.
This is so gorgeous, Heather! I love it! Stunning card! I love those water color powders - they are so cool! Fabulous card Heather!! Love everything about it! I have to try this!! Love the colors. I've never tried watercolor powders. Awesome card. 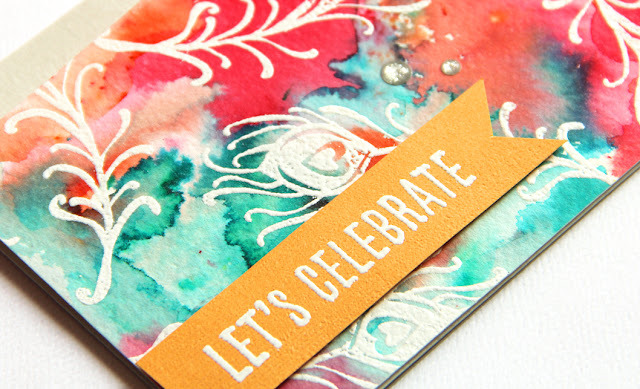 The white embossing looks great against the beautiful Color Burst watercolor. The dramatic background is a perfect foil for the white embossed feathers. Love it! Gorgeous background, Heather! 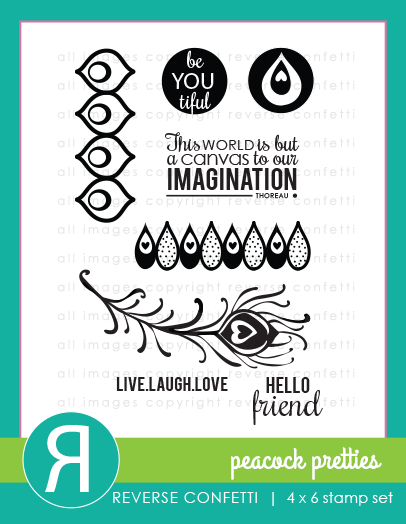 Perfect for your peacock set! Gorgeous, I love that background! WOW... WOW... fantastic work on that background! LOVE IT! Wow!!! Such a lovely card!!! Absolutely cute!! !